When we don’t follow God’s word man’s idea of righteousness goes every which way. Case in point is Joseph Smith and what he did in 1830. With his idea of God people went their own ways after his death and today we see literally hundreds of different kinds of Mormonism rearing their ugly heads. The case in Texas took another turn this week. 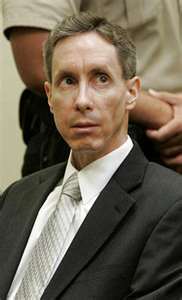 Warren Jeffs, the self proclaimed prophet of the polygamous group FLDS, issued a new prophecy. Now he’s predicted the walls of the prison are going to fall down around him and until then no one is allowed to have sexual relations in their marriages. If you’re caught doing so the punishment is swift and severe; it’s excommunication for you. Let’s pray the reports are true that people are finally leaving. And although that may seem like a good thing we also need to pray they’ll come to know the truth about Jesus and get saved!